"No, she thought, war is for history books, not for us to experience firsthand. It's for faraway places known only on maps." This is my first book by M.K. Tod, Unravelled is her first but in no way do you have to read it before this one )because I didn't). But if you are like me you'll automatically want to read, mine is already loaded on my kindle ready to go. Taking another look at World War I, through the eyes of a young girl. The raw and personal affect his war had on the citizens of France, especially the Noisette family, is played out in these 353 pages. There are no wasted words or filler pages here. Though mainly focusing on the daughter Helene, the author has painted a real picture about how this war has transformed the lives of family, friends and neighbors. As the title indicates there are lies here, deceit, scandal as well as relational issues within the family, all things that make a great read. I really like Mary Tod's writing style. There is no beating around the bush, she tells it like it is (or was) that had me not just feeling this story but visualizing it also. Her research is cleanly shown here in this book. Definitely an author I will be reading more of. This book will appeal to those that like reading about WW I, especially taking place in France or that just like a good HF read. choose that make your life. In 2004, she moved to Hong Kong with her husband and no job. To keep busy Mary decided to research her grandfather’s part in the Great War. What began as an effort to understand her grandparents’ lives blossomed into a full time occupation as a writer. Her debut novel is UNRAVELLED: Two wars, Two affairs. One Marriage. 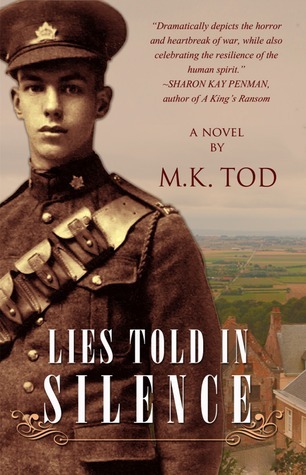 LIES TOLD IN SILENCE, her second novel, is set in WWI France and tells the story of Helene Noisette who featured in Unravelled. 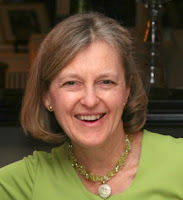 Mary has an active blog – www.awriterofhistory.com – which discusses all aspects of historical fiction and includes author and reader interviews. 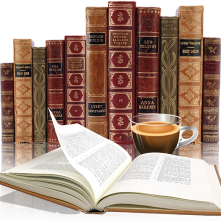 Additionally, she is a book reviewer for the Historical Novel Society. Mary lives in Toronto where she is happily married with two adult children. To win a copy of M.K. Tod's Lies Told In Silence please complete the Rafflecopter giveaway form below. Giveaway is open internationally! Giveaway ends at 11:59pm on August 18th. You must be 18 or older to enter. Winner will be chosen via Rafflecopter on August 19th and notified via email. Winner have 48 hours to claim prize or new winner is chosen. 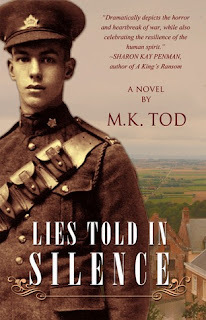 Hi Margaret .. many thanks for your kind words and for taking the time to read Lies Told in Silence. I'm delighted that you enjoyed it!